We stock a range of Dimmer packs for a variety of needs and applications, from small performances to large events and shows. The single channel 2K dimmer is ideal for use with followspots. The control system consists of a master fader and flash button in a compact unit. 1 x 2000w channel, 1 x 15amp outlet. 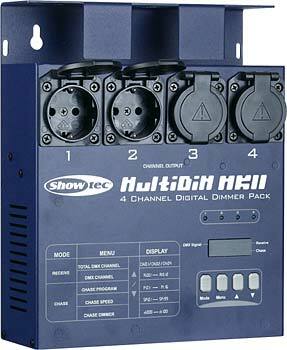 A fully portable 3 channel dimmer. The unit can be locally controlled via faders or remotely controlled. 3 x 1500w channels, 3 x 15amp outlets. 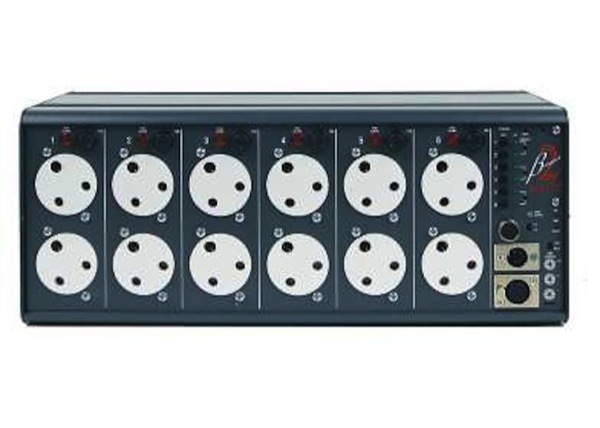 Similar to the Betapack, however it provides six single outlets with an integral control system consisting of six individual faders and a master fader. 6 x 2000w channels, 6 x 15amp outlets. 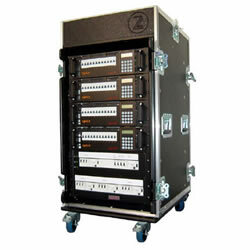 The Betapack provides six channels across twin outlets with a maximum load of 2000w / 10amps per channel. The Betapack can be controlled by either analogue or DMX control and provides a test switch for each individual channel. 6 x 2000w channels, 12 x 15amp outlets. 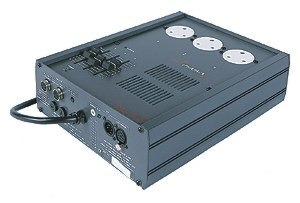 A flight cased 48 way system, 16amps per channel with individual MCB protection and a 125A input. 48 x 16amp channels, 16 x Socapex outlets. 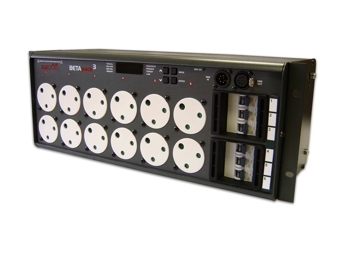 A 12 channel dimmer including the electronics to allow control of dimming, contactor or switching bays. 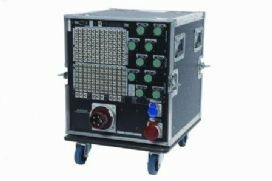 All channels rated at 16 Amp with 100% Duty Cycle on all channels simultaneously. 12 x 16amp channels. A 24 channel dimmer including the electronics to allow control of dimming, contactor or switching bays. 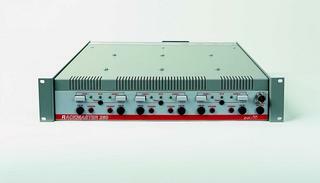 All channels rated at 16 Amp with 100% Duty Cycle on all channels simultaneously. Powercon patching unit. 24 x 16amp channels, 10 x Socapex outlets. 4 Channel Dimmer Chase Controller with 42 preset built-in chase programs (manual + sound to light). 4 x 5amp channels. A complete and easy to install light-control solution. 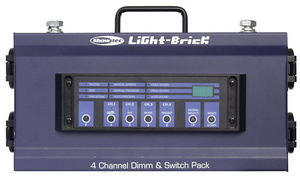 That's what the Showtec LightBrick is about: a DMX 512 4 channel dimm- and switchpack. Perfect for fixed installation or rough on the road use. 48 Channel dimmer. Hot patch, Powerarch inlet. 48 x 10amp channels, 96 x Socapex outlets.